Rap icon and all-around badass Nicki Minaj slayed in CANDICE CUOCO’s NICOLA gloves in the video for “Good Form”, her latest single featuring Lil Wayne. Musician/Vocalist Sudan Archives dazzled in CANDICE CUOCO’s beaded fringe MARCHESA bodysuit and extended-sleeve bolero at Arizona’s Form Festival. The look drew raves, including a Street Style highlight in Teen Vogue. Sudan Archives’ sophomore EP, Sink, is on sale now. 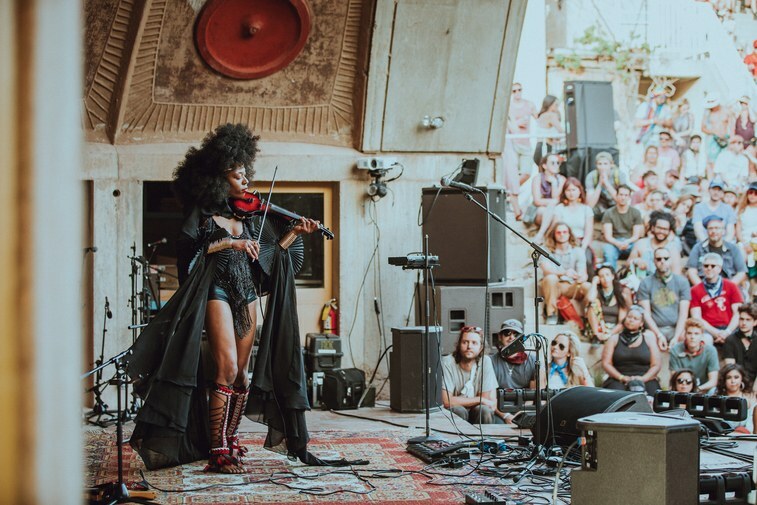 At the one-of-a-kind Form Festival held in Arcosanti, Arizona, several talented artists chose to express themselves not only through their music but through their outfits. The women in particular stood out in looks that transformed their performances to a higher level of art. Luminaries including Charli XCX and Sudan Archives took the stage in incredible looks you’ll want to copy this all summer festival season long. Famed stylist Nichola Formichetti selected not one, but two of Candice’s garments to showcase in the season premiere of America’s Next Top Model! The avant “garden” couture shoot featured two pieces from CANDICE CUOCO’s Bad Butterfly collection – our gorgeous CHARA wrap gown and stunning ARIA Skirt! Celebrity makeup artist JC Camarillo brought the drama to the annual Anastasia Beverly Hills Halloween party this year, wearing two CANDICE CUOCO pieces. 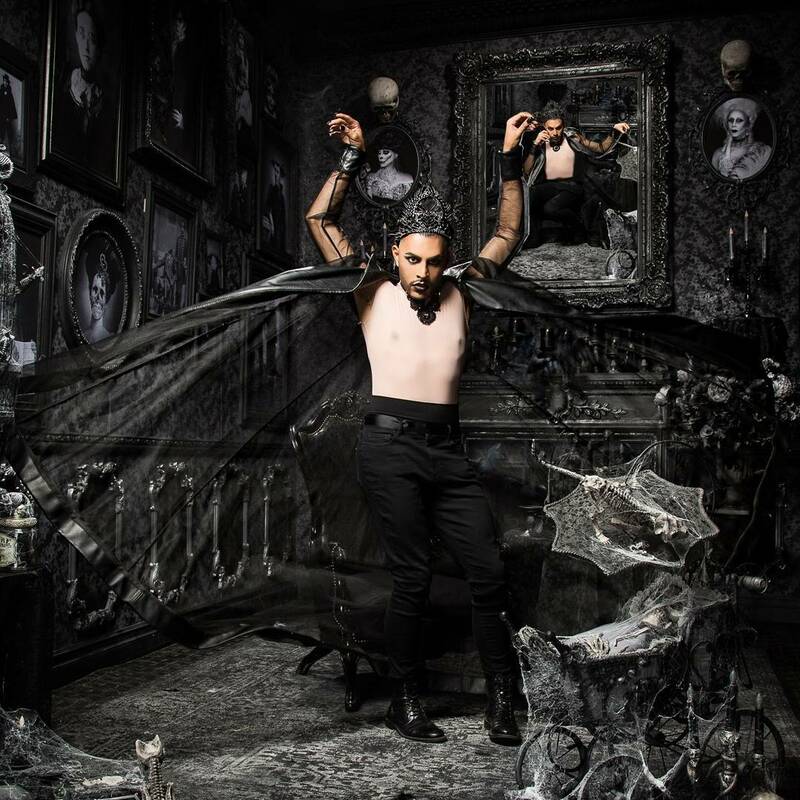 Dressed as the Dark Prince, he rocked Candice’s mesh and leather floor-length coat AUDELIA from our Bad Butterfly collection, and completed the look with our custom crown of thorns. Singing sensation LeToya Luckett rocked CANDICE CUOCO during her exclusive video and editorial shoot for Revolt TV and Fashion Bomb Daily. LeToya dazzled in Candice’s HYACINTH bell-sleeved sequined jumpsuit with plunging neckline from the new DEFIANT collection, and looked equally amazing in our AUDELIA mesh-and-leather trench coat and MICAH studded suede bustier. The interview with Claire Sulmers was photographed for Fashion Bomb Daily by Tyren Redd and styled by trend-setter Bryon Javar, featuring makeup by Rebekah Alladin and hair by Ray Christopher.